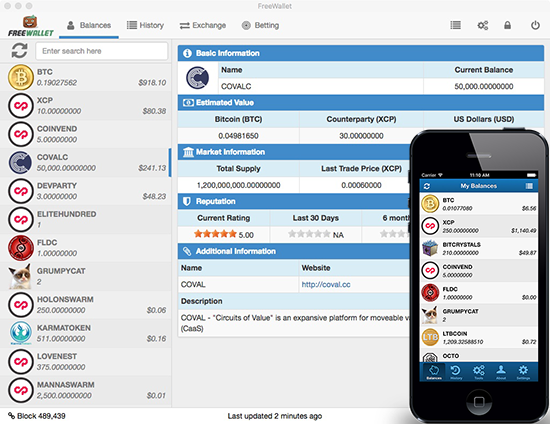 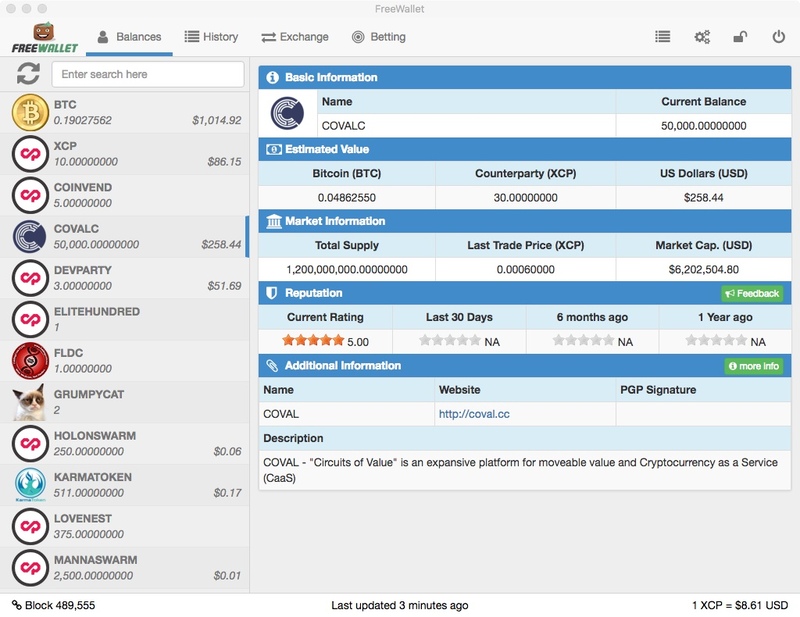 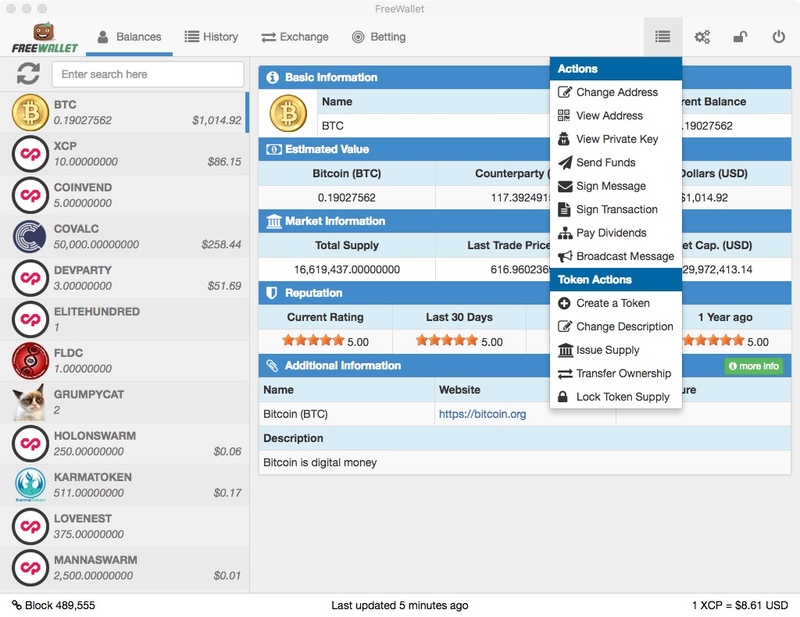 FreeWallet is a free open-source wallet which supports Bitcoin and Counterparty. 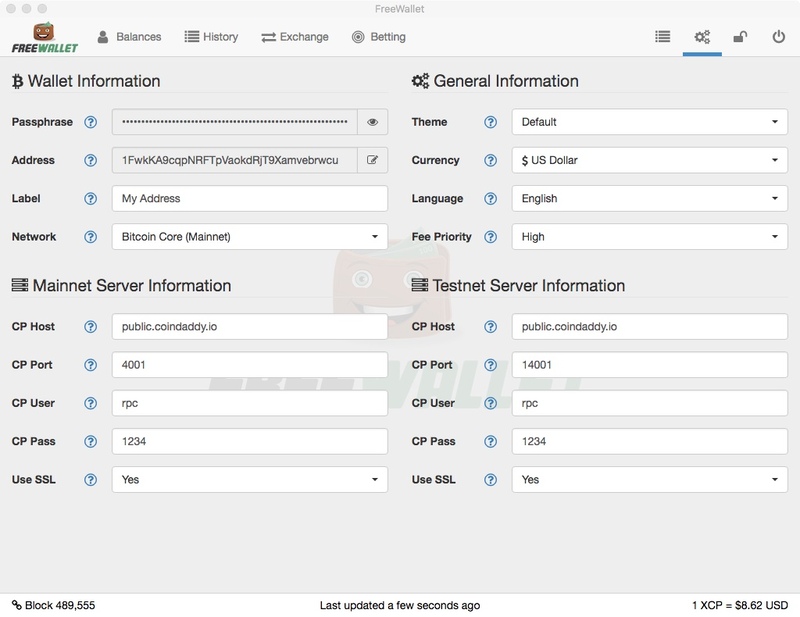 All encryption is handled client-side. 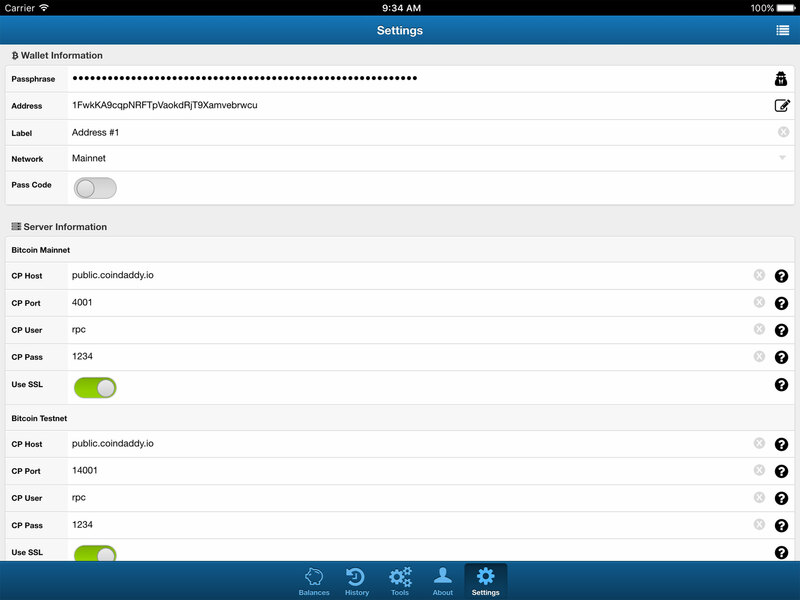 Neither your passphrase nor any of your private information ever leaves your browser, workstation, or mobile device. 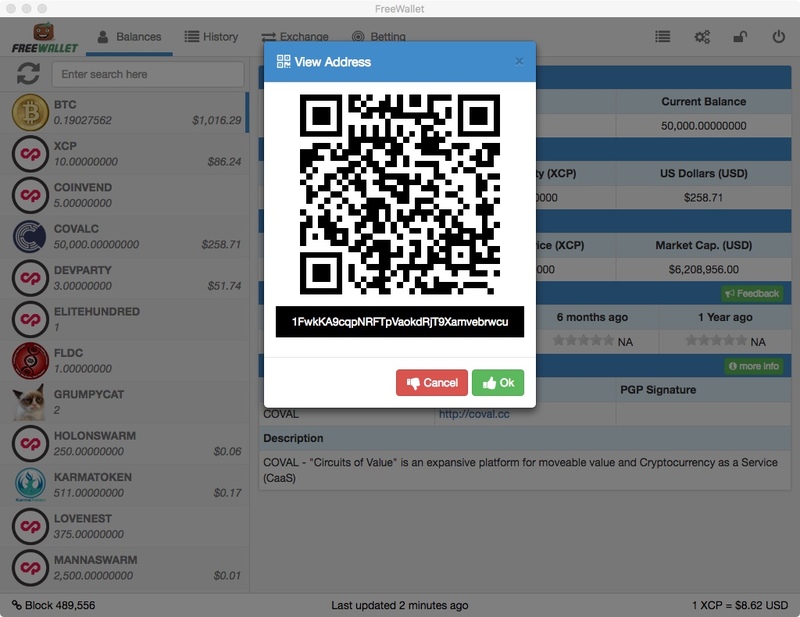 FreeWallet passphrases are highly secure, and protect your wallet from any brute force attacks. 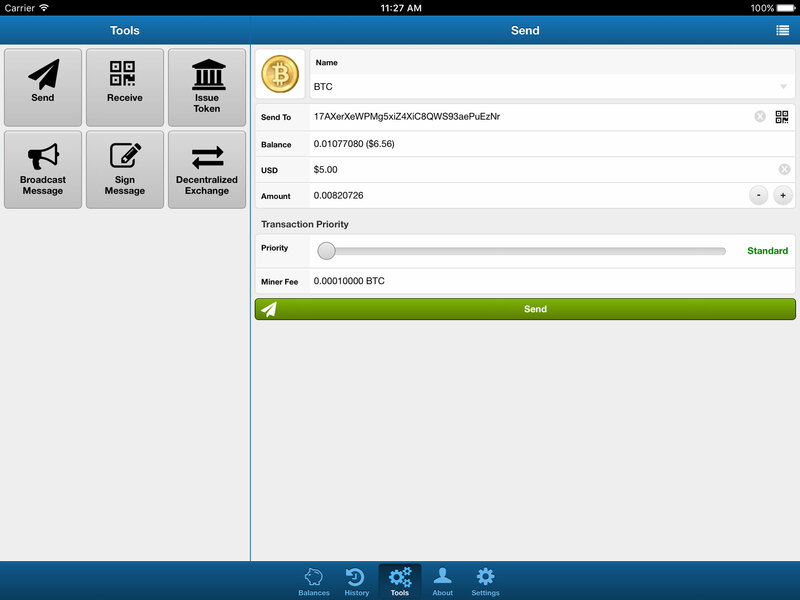 They are also rather easy to learn and hard to mistype. 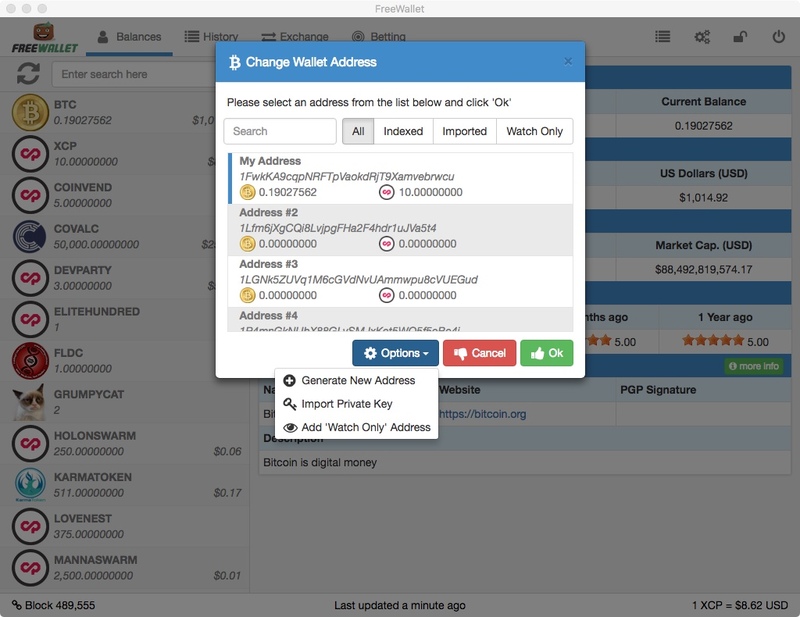 With FreeWallet, your passphrase is literally your wallet, and all of your addresses and keys are generated on-the-fly when you log in. 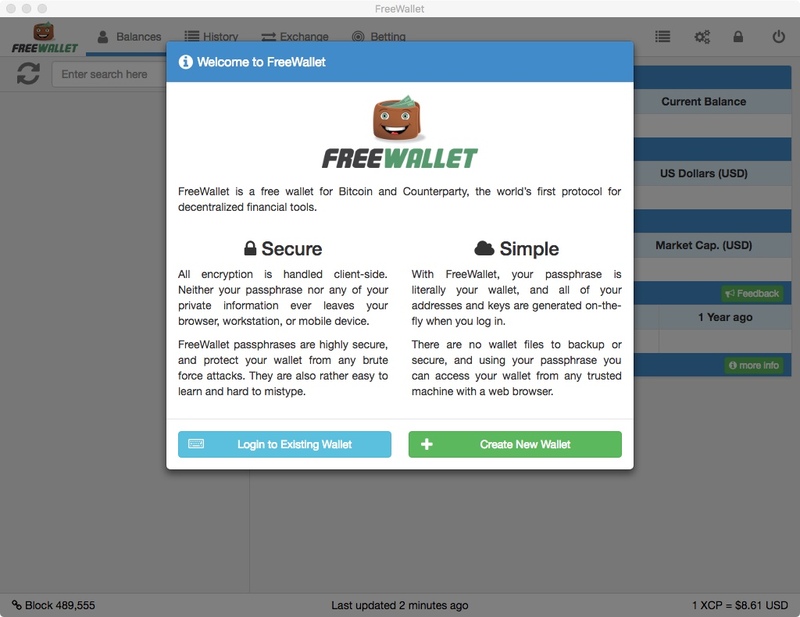 FreeWallet Mobile is open-source, and available for anyone to fork or review, so you know that it works exactly the way that it is supposed to. 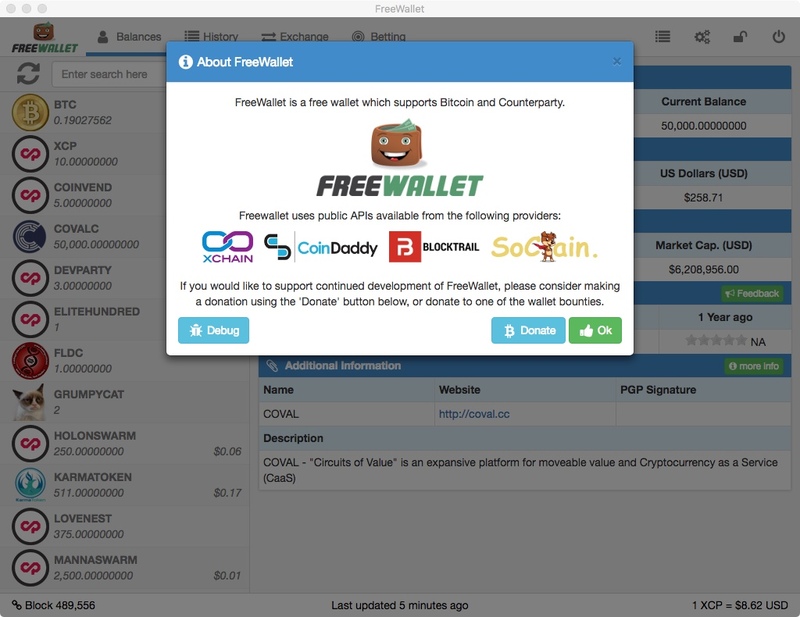 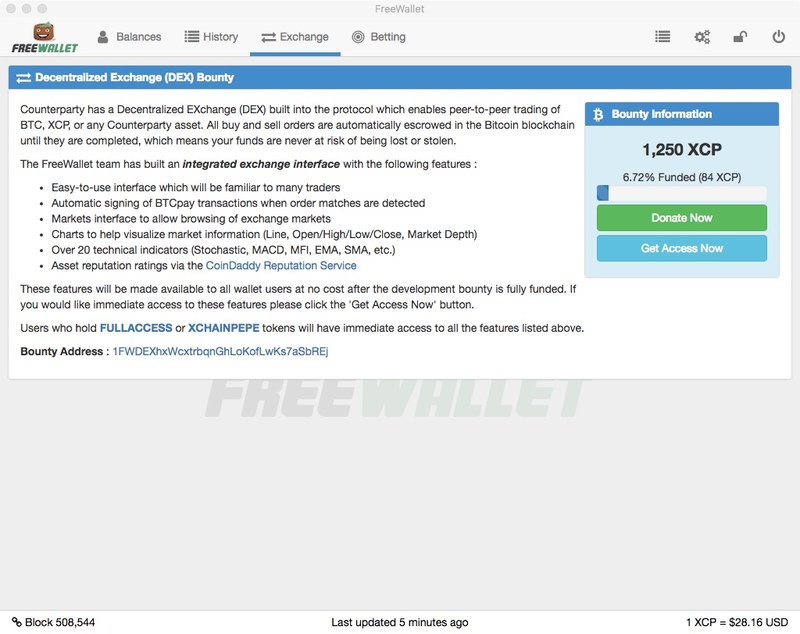 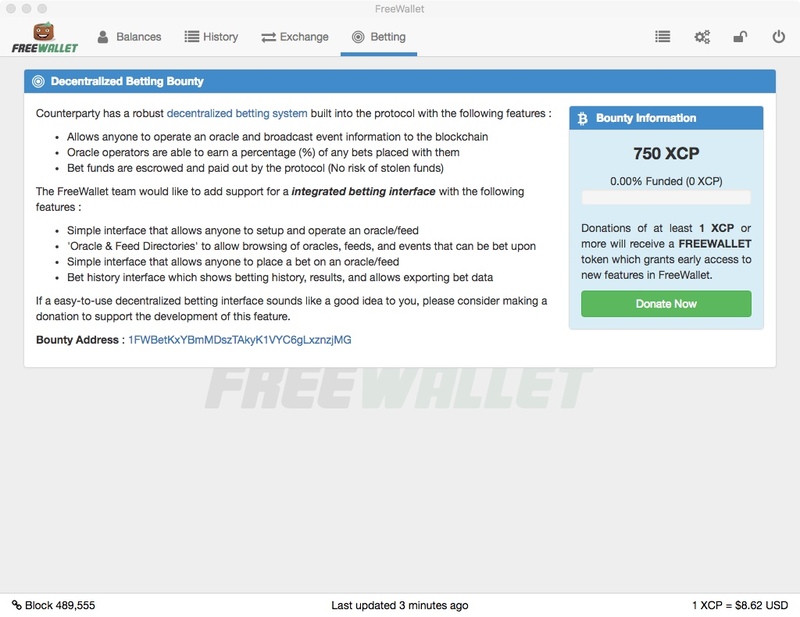 FreeWallet Desktop will also be open-source once the Decentralized EXchange (DEX) and Betting interfaces are completed and the bounties are fully funded. 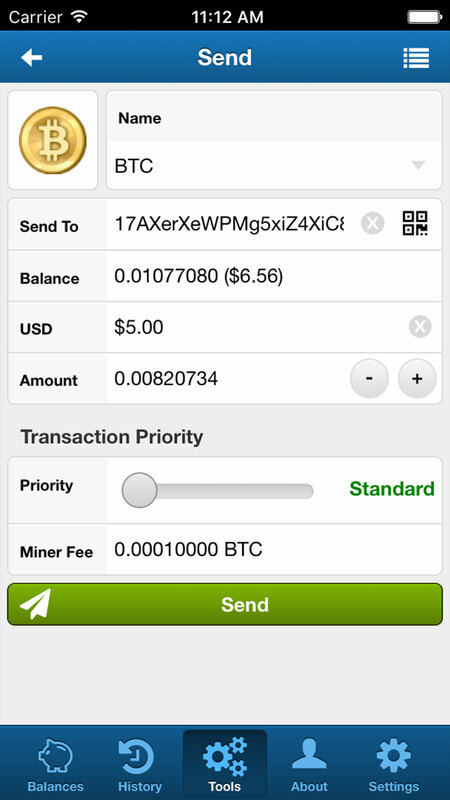 Send Bitcoin, XCP, or any other counterparty token/asset to any bitcoin address. 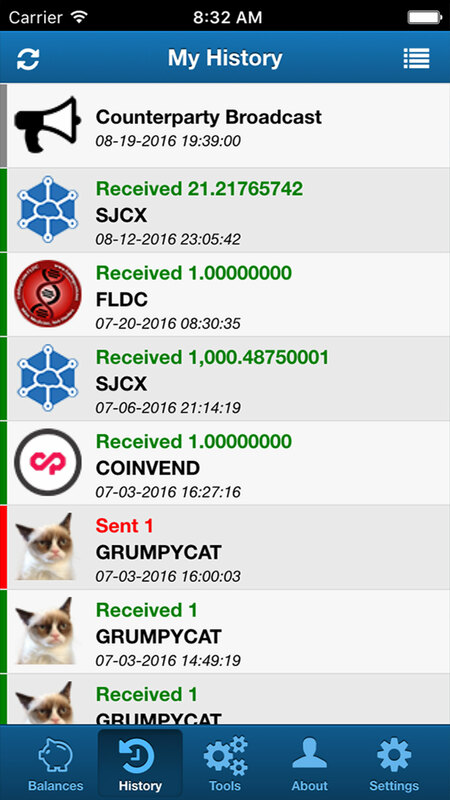 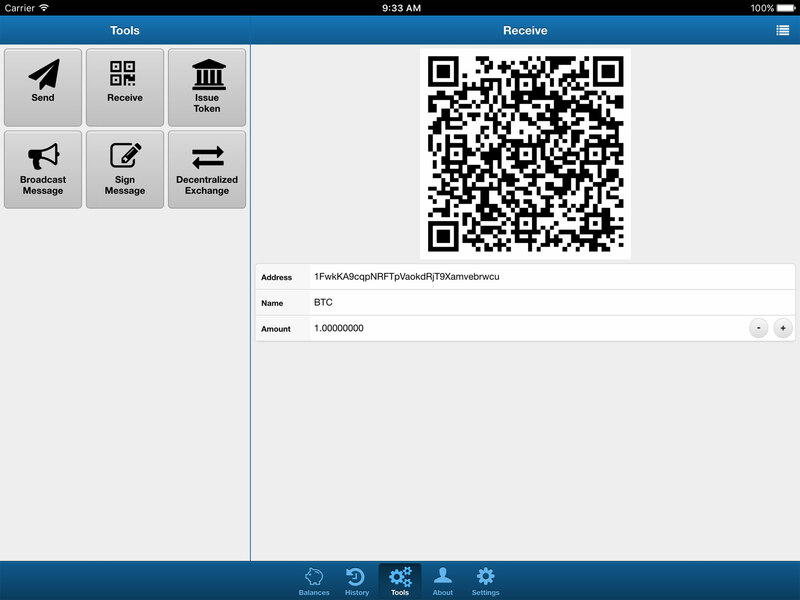 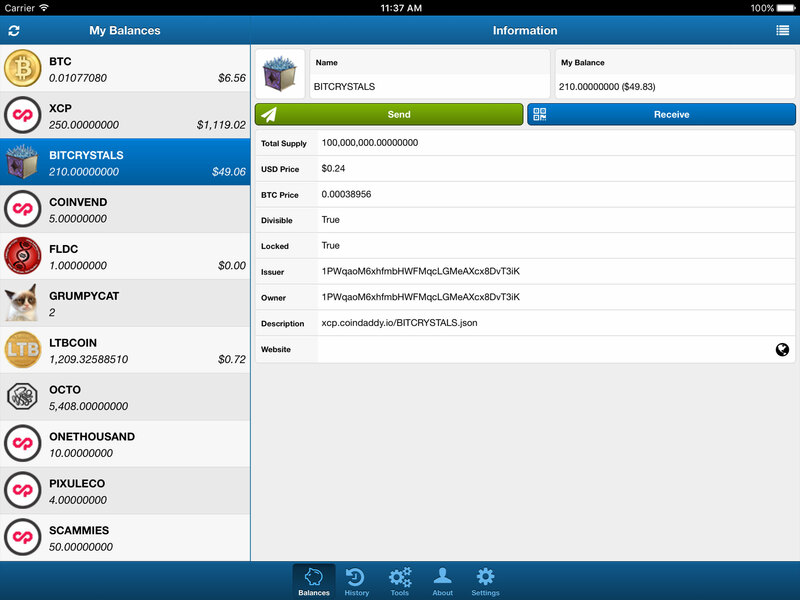 Receive Bitcoin, XCP, or any other counterparty token via a scannable QR Code. 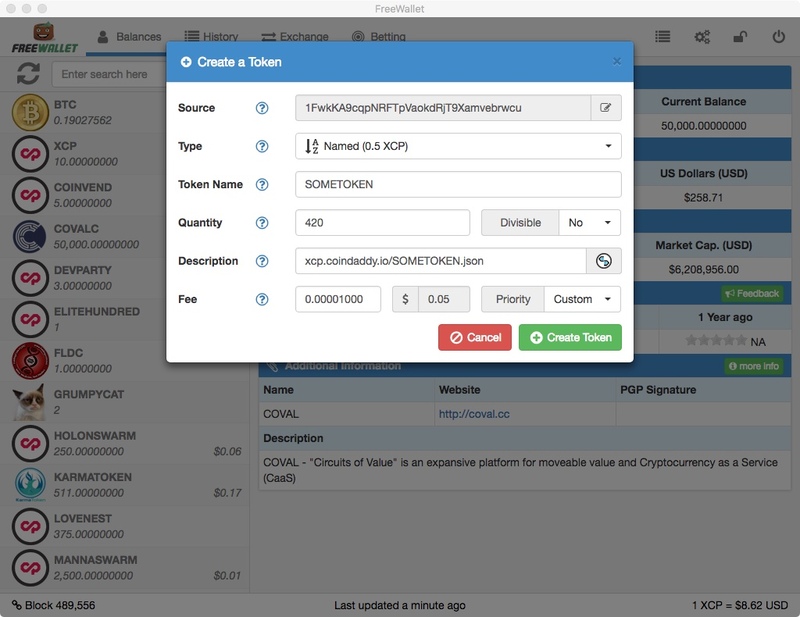 Quickly and easily create your own tokens to use for whatever you would like. 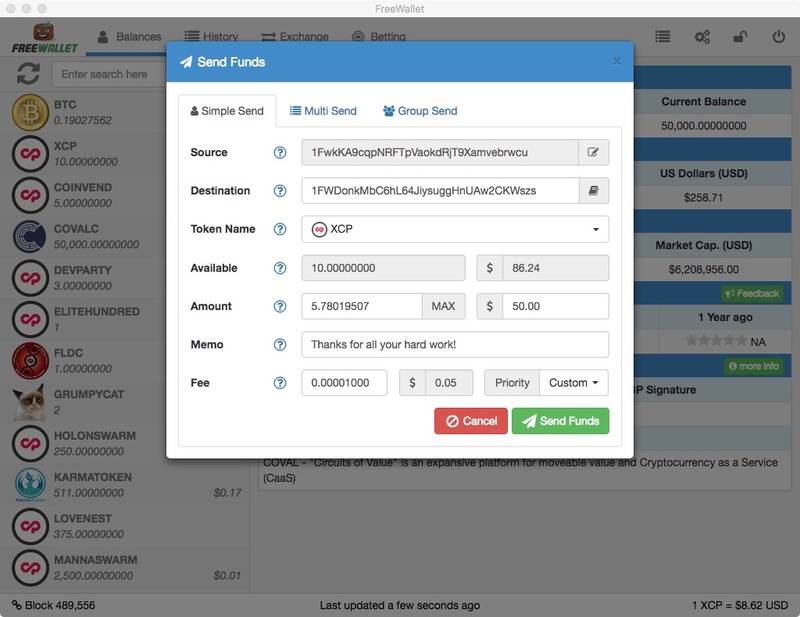 Sign a transaction with any address in your wallet, or sign a message that others can verify. 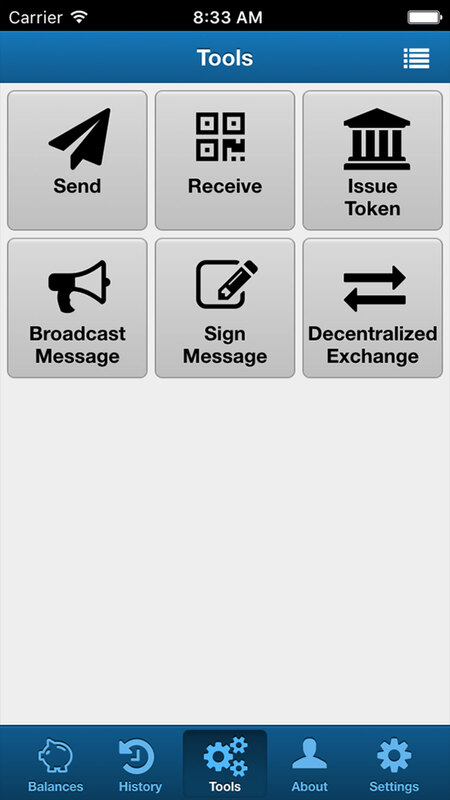 Broadcast any message to the bitcoin blockchain for anyone to see. 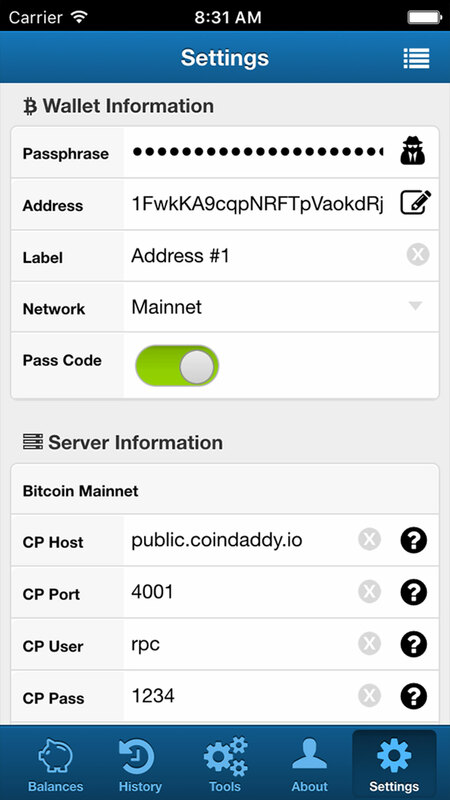 Supports multiple addresses as well as importing private keys and watch-only addresses. 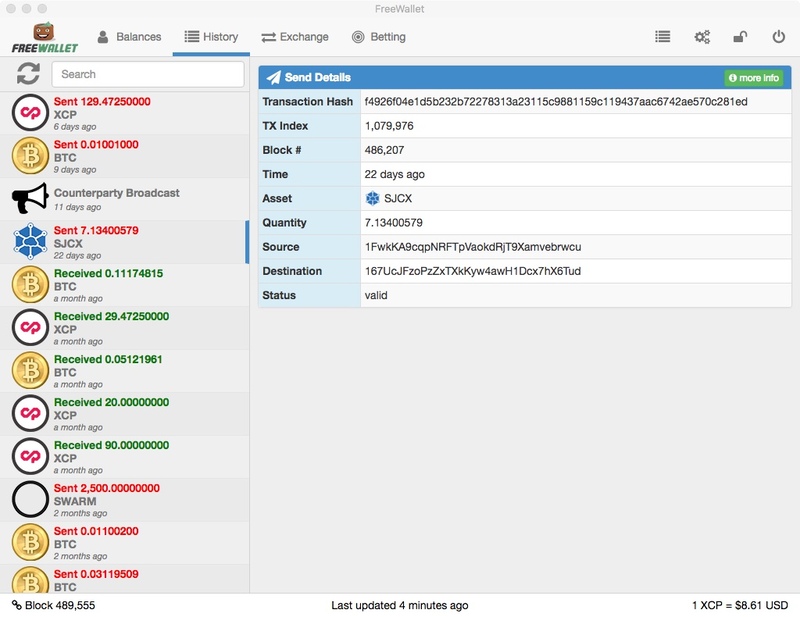 Support for Bitcoin Core (BTC) transactions on both Mainnet and Testnet. 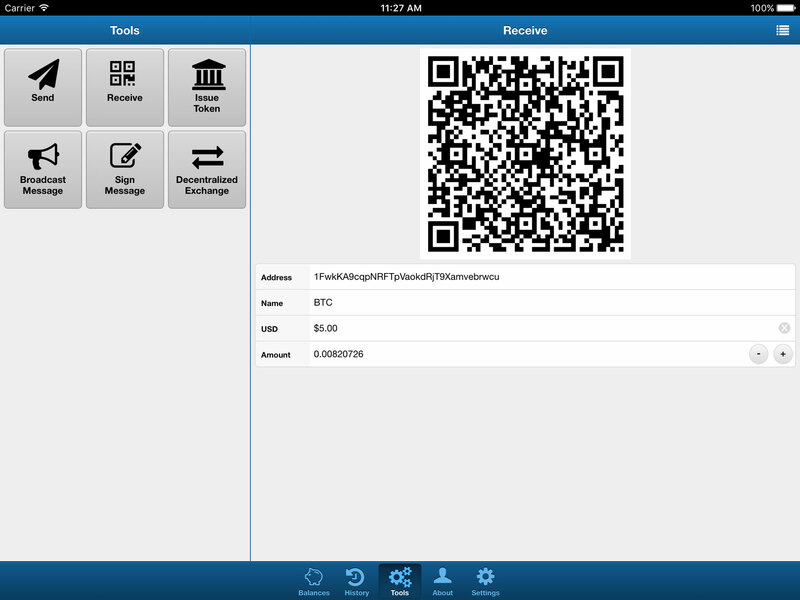 Add an Password, PIN or thumbprint scan to give your wallet an additional layer of security. 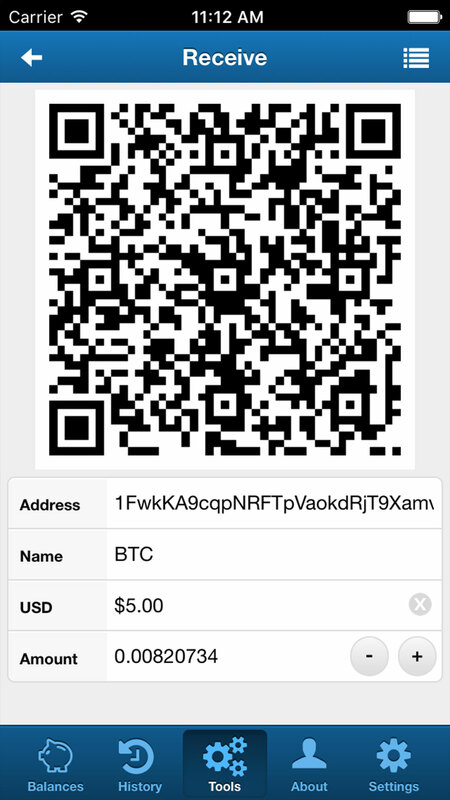 Support for QR Code Authorization which allows anyone to register/login to a site using only their bitcoin address. 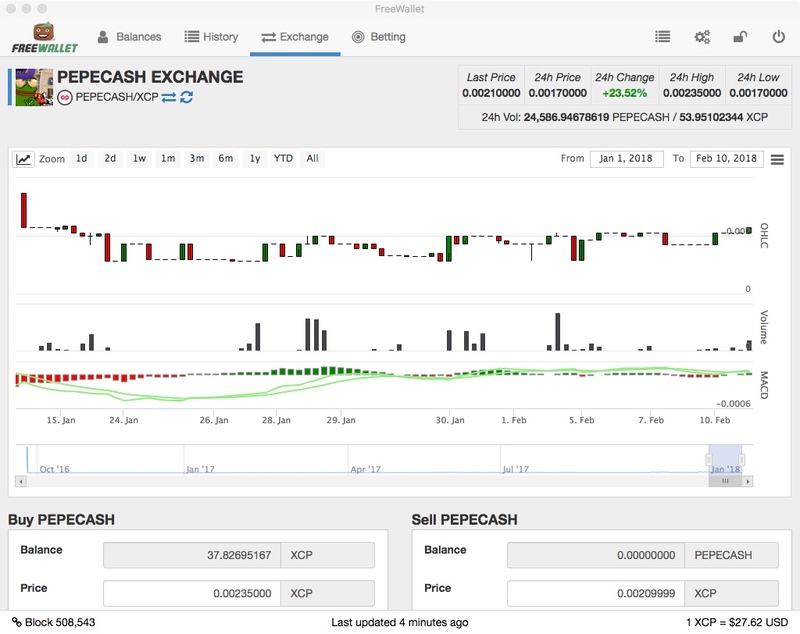 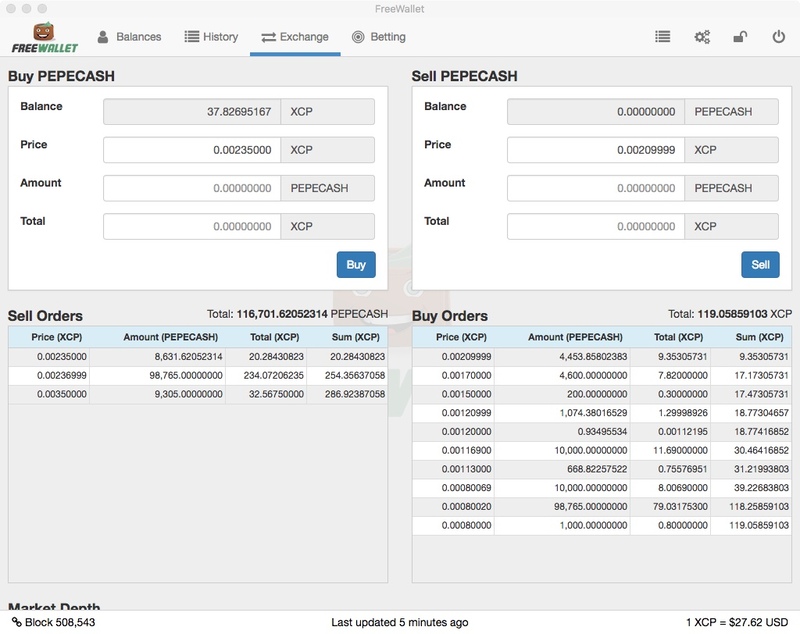 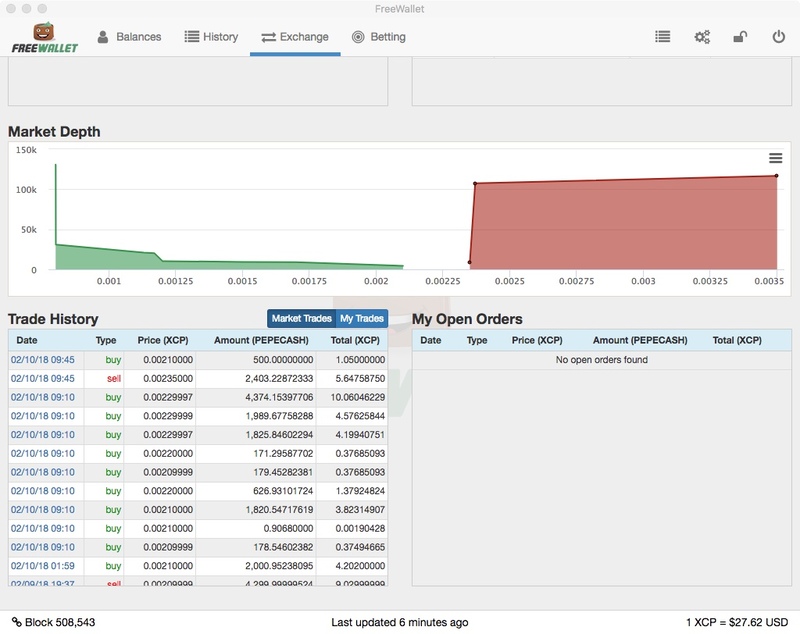 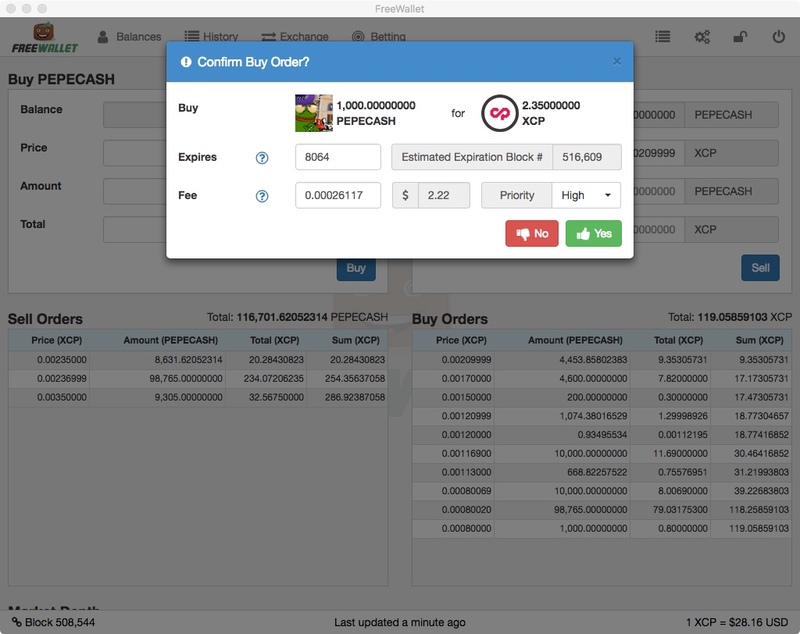 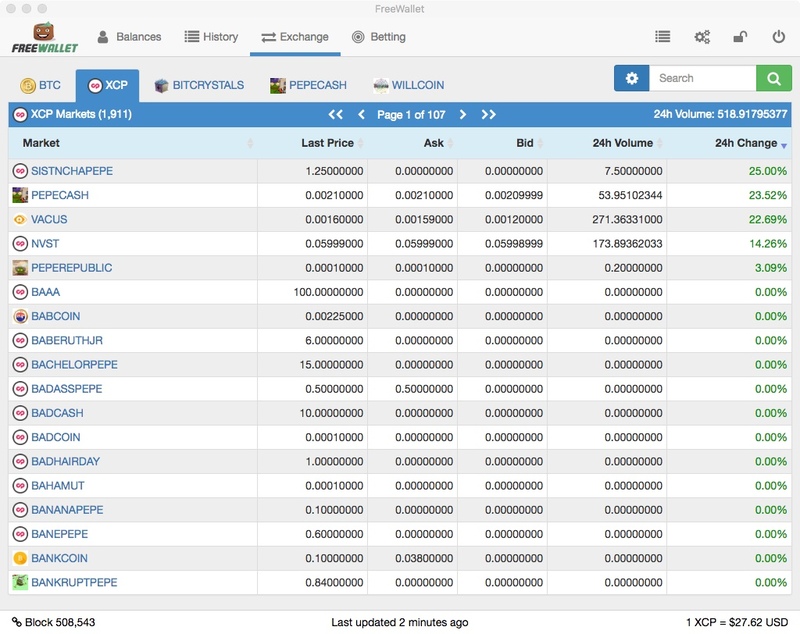 Integrated exchange interface that allows peer-to-peer trading of counterparty tokens in a truly decentralized and trustless manner. 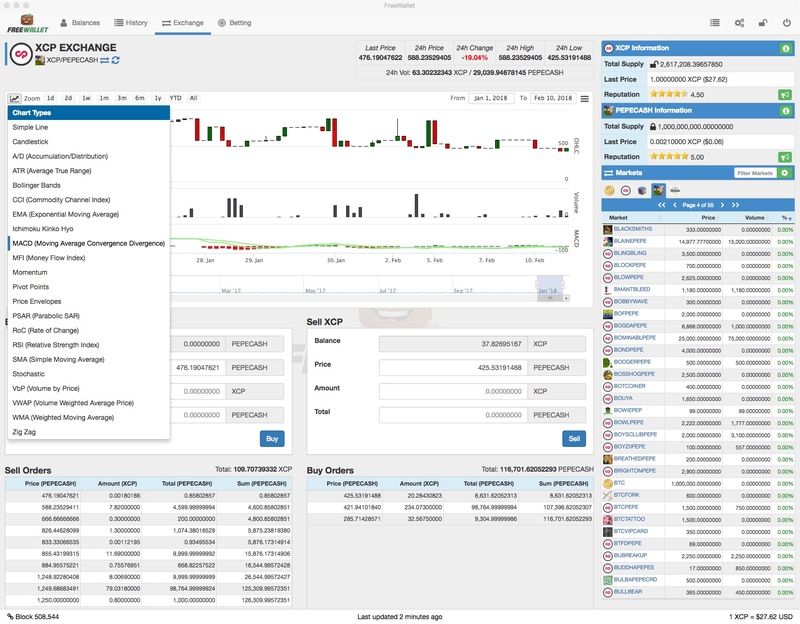 Integrated betting interface that allows anyone to operate a oracle, browse a listing of available feeds, and place bets on feeds. 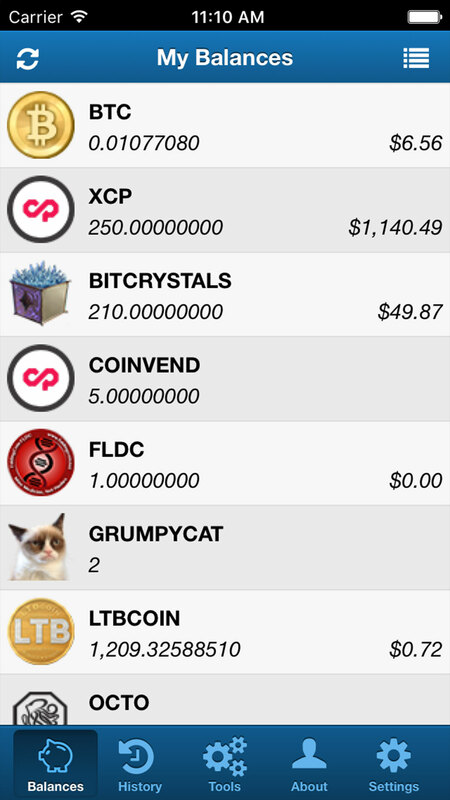 Distribute an token of your choosing to holders of any other counterparty token.